Guess who’s baaaaaaccckk? Did you miss me? The Hip-Hop Dojo’s finally ready to reopen its doors for business, and I’ve got plenty to share with you today. I’ve traveled far and wide, sailed across the seven seas, climbed the highest peaks, and braved the hottest deserts to hone my craft, learning from the very best, meditating, and planning my return (basically picture the whole training sequence from Batman Begins). In all honesty though, I appreciate your patience over the last few months, and hope I can finally get back on my grind to deliver you the freshest hip-hop product on a consistent basis. So without further ado, let’s get this party started. This very special fifteenth edition of The Hip-Hop Dojo features plenty of familiar names, from hip-hop heavyweights like Eminem, Busta Rhymes, Q-Tip, Raekwon and Kendrick Lamar, to Dojo frequenters like Kings Dead, MeLo-X, Audio Push, Tito Lopez, and Devine Carama, . We’ve even got a few fresh faces for y’all like Michael Christmas, Dom McLennon, A La $ole, GoldLink, and Fresco Nerd. Given the sheer size of our comeback playlist (over 45 tracks! ), I’ll keep it light on the words this week to conserve your precious time and keep you focused on the music. However, if you like what you hear from any of these artists and want to check out any relevant projects from them, I’ll include a link roll below. We hope you guys enjoyed our fifteenth edition of The Hip-Hop Dojo as much as we did! As always, you can send all submissions/suggestions to baseer@themusicninja.com and ash@themusicninja.com. Graduation. It’s one of the most monumental experiences of your life, and yet one of the most indescribable as well. For those of you who’ve already gone through the process, just try and think back to the cavalcade of emotions running through you at the time: pride, nostalgia, accomplishment, triumph, hope, and relief represent just a modicum of the countless sentiments bubbling up inside. It’s one of the few occasions that people both celebrate and feel anguish towards at the same time. because it marks both the conclusion of four of the greatest years of your life, and yet it also signals a new path for you to embark on. What does this all have to do with A.J. Crew? Well, the Toledo-to-Chicago import just recently graduated from Roosevelt University and decided to share his achievement with the world by releasing a new anthem for the Class of 2013. While “Graduated With The Cords” isn’t set to replace “Pomp & Circumstance” at your next commencement, I’d definitely be proud to rock it as a recent graduate. Serving as a remix of Pusha T‘s “Numbers On The Board,” A.J. manages to accomplish what few emcees rarely can when jumping on someone else’s instrumental; he makes it his own. While I won’t concede that he bests Pusha’s original, he definitely captures its essence and murks the Kanye West production in his very own way. Grab the free download above, and make sure to check out more from A.J. Crew, including the accompanying music video below, as well as A.J.’s new mixtape, The Reality of It All, after the jump. While last week’s playlist managed to keep things on the lighter side in preparation for the summer, this week’s load is a bit heavier. Featuring a wide array of crafty wordsmiths and lyrical masterminds, the eight edition of the Hip-Hop Dojo is bound to get your head nodding and your mind racing. While I won’t be elaborating on every track this week, please note that we do have quite a bit of diversity in this group. Most of the names on this list should be familiar to you already, but there are a few newcomers this time around too. The title of this week’s most unique sound might go to Weekend Money, as Ne$$ tries to exorcise his inner “Demons” over some creepy, lurching production courtesy of Baghdaddy. A-1 might have the strongest track in this week’s lineup though, with “Summertime Sadness.” Spitting over the Ryan Hemsworth remix to the Lana Del Rey single of the same name, A-1 takes the song’s title to heart, highlighting the spike in violence that occurs in Oakland as a result of the scorching heat of the summer. On “Ol’ Skool Pontiac,” Jeremih tries his hand at the rap game, opting for a more chopped and screwed, Houston sound alongside Big Sean and Paul Wall. We’ve got a few more bangers right beside that one as well with A.J. Crew‘s “Don’t Ask Me (Crafty)” and “Hate Me On The Low” from Tory Lanez. 2 Chainz and Wiz Khalifa bring us the theme song for Fast & Furious 6, with “We Own It,” a song that seems more appropriate for Eminem and 50 Cent circa 2005. Finally, we end things off with Yonas, who invites us to “Feel The Love” over a sample of Rudimental‘s single of the same name. We hope you guys enjoyed our eight edition of The Hip-Hop Dojo as much as we did. As always, send all submissions/suggestions to baseer@themusicninja.com. What up ninjas? We’re really excited to be bringing you the seventh edition of The Hip-Hop Dojo. This week’s collection leans a little towards the younger side, with a terrific assortment of raw, up and coming artists and burgeoning underground acts. We start things off on a rather mellow note, as Dally Auston and Joey Purp “do their thang” on the compulsory SAVEMONEY track of the week. The Chicago collective is constantly working to provide us with quality material week after week, and I don’t think I’ve ever been disappointed with their product. We then slide on over to Tennessee native, Isaiah Rashad’s “Part III,” presumably a reference to Jay-Z‘s classic, “Dead Presidents II.” Those are huge shoes to fill, but Rashad definitely holds his own over the instrumental. Next up, we have Locksmith standing his ground over some stellar 9th Wonder production. It’s nearly impossible to hate anything 9th is involved in, and Locksmith does his part by providing some ill bars. Over some swinging production, Joey Bada$$ and Action Bronson prove “Beyond A Reasonable Doubt” that they deserve to be mentioned alongside the brightest young names in hip-hop. With summer right around the corner, we decided to dedicate a portion of this playlist to our favorite season of the year. Kicking things off with the breezy vibes are Kool A.D. (of Das Racist fame) and Kassa Overall who make up the tag team duo of Kool & Kass. On “Pleasance,” the two emcees detail some of the thoughts that might circle through your brain during one of those late summer afternoons. One thing everybody looks for during this time of the year is summer love. N’Vante Santos describes his ideal specimen with the fun and hilarious single, “Hipster Girl.” By now you must have pictured the scorching sun beating down on you from above, so why not cool off with a delicious, refreshing beverage? NatNaiel proves that nothing beats the quintessential tall glass of “Lemon-Aid.” Before you know it, you’ll find yourself at the beach, ready to “Take Off” for a dip in the ocean. Let the waves wash over as you relax to UK native, Cynikal‘s ambient, relaxing new single. Once you’re out of the water, it might be time to kick “your shoes” off (if would be weird if you haven’t already) and start a party alongside ATL’s Scotty. Things have progressed pretty fast thus far, and the clock’s now hit “6:10 PM.” What better things do you have to do than toking up a bit and cruising down the coast in your whip (as long as you’re not the driver of course)? We’re pretty sure Chitown’s A.J. Crew would agree nothing. Finally, after that busy day of yours, why not unwind with a few videogames? Maybe you could even dust off that Pokemon cartridge to play on your old “Gameboi.” On “Insert Coin,” Gameboi and his crew of Clear Soul Forces and Illingsworth lace an 8-bit backdrop with some incredibly ill verses. Our next segment is dedicated to some heavy hitting bangers that are bound to get you amped up and out of your seats. Opening things up is Run The Jewels, a hip-hop duo comprised of Killer Mike and El-P. The two have proven they have chemistry in the past, which is what makes this collaboration seem effortless as the two trade bars over some manic production. Our second offering comes from P-Money, with his new song, “The Hardest.” The track definitely lives up to its name, thanks in no small part to M.O.P., who are literally the kings of hyped-up music. Closing things up in this section is R.A. The Rugged Man, who’s been bringing us quality material all month from his new album, Legends Never Die, which is definitely worth picking up. This next ensemble of tracks keeps things on a more conscious tip. We begin with two fresh tracks from Eddy B, a name that should be familiar from previous editions of The Hip-Hop Dojo. The North Carolina spitter just dropped his Hopeless Act mixtape, and both “Paper” and “Trouble” are standouts from the project. While the first track describes the daily struggles involved in the quest for paper, the second describes many of the other problems on Eddy’s block. While Eddy recounts his experiences locally, King Wojack decides to tackle some prominent issues ailing this country as a whole in regards to politics and the media. Finally, A.Jay.D. and Maffew Ragazino take us down a trip through “Ghost Lane Drive,” a lonely road that I’m sure many of us have traveled on before. Rounding out this playlist are three of my favorite tracks from the bunch. All three of them utilize some pretty recognizable samples. In fact, I’ll let you see if you can guess them before I move on. The first one should be relatively easy, as it shares its name with the original Purity Ring single. Angel Haze absolutely murders the lush, cascading backdrop, allowing us to view the song in a whole new light. Next, we shift our attention over to Donwill (1/2 of Tanya Morgan) who eviscerates a keen sample of James Blake‘s “Retrograde.” Ending out our playlist is one of the funnier and more intelligent pieces we have here. MeLo-X produces a nice little ode to Rihanna that serves as a remix of Drake‘s latest single, while also interpolating elements from “Pour It Up” and “Diamonds.” The track isn’t all gimmicks however, as MeLo is able to showcase both his talents as a rhymer and as a producer. We hope you guys enjoyed our seventh edition of The Hip-Hop Dojo as much as we did. 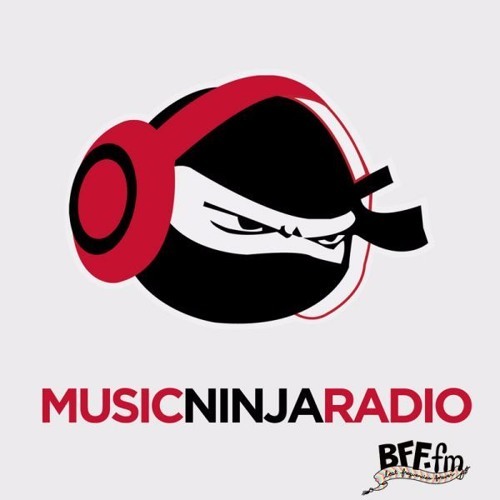 As always, send all submissions/suggestions to baseer@themusicninja.com.